So you've just tried to pair your NTSC spy surveillance camera with a PAL DVR system and found that your high-tech, top of the range spy camera gives you nothing but a blank screen. Don't worry, you're in good company. The PAL/NTSC/SECAM systems have caused electricians, security specialists, consumers andwholesaledrop-shippers a great deal of consternation ever since the color NTSC transmission system was first put into use in 1953, where it was first dubbed Never Twice The Same Color(NTSC) by wags due to variances in the colors transmitted. Don't know the difference between PAL and NTSC? Don't know why mixing PAL and NTSC components can create a problem for one system but not another? The history of all the world's difficulty with different video color formats began in 1953 when the world started the shift from black and white television to color. To make sure the entire world didn't have to go through a major hardware overhaul to watch television the authorities and technicians in charge of broadcasting developed systems which would effectively allow the signals which dictated which colors were shown to be transmitted in the gaps between signals being sent to black and white televisions. Three systems were developed to best fit the geopolitical, logistical and infrastructural concerns of the time, NTSC, PAL and SECAM. NTSC, or National Television System Committee, first started as a black and white format before the Second World War. The system had no allowances for color and set standards at 525 lines of information for every frame and 30 frames per second for every picture and was used in Canada, Mexico and the US. The problems first started with the second version of NTSC code, which had signal transmissions that allowed for color but had a problem transmitting the correct hue to areas with weak transmission signals, resulting in the other definition of NTSC (Never Twice the Same Color). Another issue that broadcasters in Europe and other parts of the world faced was color NTSC signals only worked on power grids which had a power frequency of 60Hz. This caused a great deal of difficulty in Europe, where the power grid worked on a 50Hz frequency and the authorities there started working on their own color codes, the PAL (Phase Alternating Line) format in West Germany and SECAM (Séquentiel couleur avec mémoire or Sequential Color with Memory in English) in France. The new formats were not only designed to work on the European grids they were also coded to correct the color variance flaw which gave NTSC its nickname. PAL was adopted in much of Western Europe but geopolitical reasons resulted in SECAM being adopted in the mostly communist Eastern European bloc as well as in its native country of France. Most Eastern European and African countries which broadcasted the SECAM format now also send out PAL signals as well and France is now the only country which solely uses the SECAM format for television transmissions now. 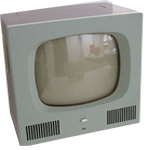 Check out thisChinavasion PAL NTSC Directory for a directory of sites on analog television formats and different areas where they work. "What does this all mean to me?" You may ask. Essentially little in todays world of television signals, but it can still influence what transmitter works with what receiver. But you can find out more about that in the upcoming sections. PAL/NTSC cameras/receivers will work anywhere as long as they are paired with cameras/receivers that use the same format. Talking about the history of video color formats is all well and good but what effect does it have on the electronic gadgets of today, and what things can go wrong when a PAL device is paired with an NTSC component or vice versa? When a NTSC receiver is used to pick up PAL color transmissions people might see a 'rolling screen' or a blank screen. When is this likely to happen though? This will happen if you've connected a PAL camera to an analog NTSC monitor or NTSC DVT recording device or you're using a NTSC car DVD player to try and watch TV stations in a country which uses the PAL color format. 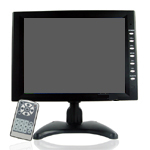 When a PAL receiver is used to pick up NTSC transmissions it can cause more problems, with the potential visual effects being a black and white picture, 'rolling' screen, a 'tearing' screen, or blank screen. This will be the effect if you try to connect a NTSC camera to an analog PAL TV or DVR. However if you're trying to set up a security system you will have no problems pairing a PAL security camera with a PAL security system, even if you're in a territory where the news is beamed to you in NTSC. While that's what will happen generally when NTSC transmitters are teamed with PAL receivers, or PAL transmitters are paired with NTSC receivers, things don't always work that way. So what electronic gadgets buck the incompatibility trend? Televisions are a great example of how there are always exceptions to the rule, even in the world of electronics and coding. If you're using an old analog TV as a monitoring device then you'd better check what color format it works in before splashing out on that top of the line camera you plan on plugging into it. If it isn't the same format then there's a very high chance that it won't work. The plot thickens if, by some strange x-file esque turn of events, you're considering using a cold war set from Eastern Europe as a monitor for a surveillance system (Perhaps your cousin Boris smuggled it over the wall, gave it to you as a wedding present and it's just been taking up space in your cupboard). Before you dust it off and use it to monitor your system you'd better check that your cameras transmit using the SECAM color format as many countries in the Eastern European Bloc didn't start making dual PAL/SECAM models until the 1980's. However, if you're using a digital TV, you probably won't have any problems as most digital TVs these days have automatic switches which will change between one format and another. Spy surveillance equipment is another area that could cause you a number of problems if you decided to mix and match PAL with NTSC surveillance equipment. It doesn't matter if a camera is wireless or wired the same considerations come into play when you try to put an NTSC camera with a predominantly PAL system or a PAL camera with a NTSC monitor or DVR device. 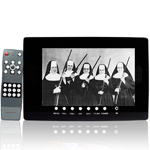 Some car DVD players also can cause problems if you're using them to receive television programs. The car DVD players may only receive one color format which may or may not be compatible with the country that you're operating in so it best to check product specifications very carefully before buying, or recommending a particular automotive DVD player for one geographical market. Otherwise you, or your customer, could be sorely disappointed. Spy surveillance cameras and car dvds are two categories that it's better to be safe than sorry with when it comes to ensuring you get the right color format for the job. People plugging backing cameras into their car DVD players will be happy to know that it irregardless of the format any backing camera will work with any car DVD player it is plugged into as it goes through an AV/camera in port which effectively works as a converter in its own right. There's no need to worry about reversing cameras when it comes to PAL and NTSC rear-view cameras for car DVD players, they won't be affected by color formats. Analog TVs can be hugely affected by NTSC/PAL and should be paired with a device that works with a similar format. Wireless and wired spy cameras need to be paired with receivers which are the same format. Car DVDs which are being used to watch television will need to have a multizone color format system, or operate in the same NTSC/PAL format as the country's television signal. 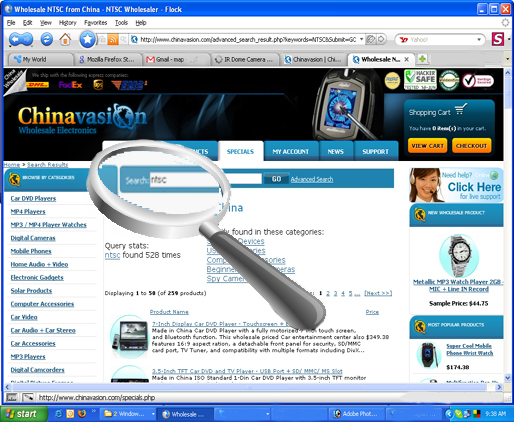 So what does this mean for Chinavasion customers and how do you search for products which operate in a specific format on the Chinavasion site? There are two ways you can search for products which work using the PAL/NTSC format in two ways, by doing a general search or a specific search. If you're interested to see which of our products work use a specific format then you can search by simply entering the color format you're interested in in the search bar. However, if you like one particular item (A surveillance camera which uses PAL format for example) and you want to see if there is a version which with the other format then all you need to do is to copy the name of the product and paste it into the search bar and then add the format you want the device to work in afterward. But if you still can't find the item you're looking for, don't worry. Simply open a ticket in our support suite or chat with our friendly staff online and we will try to find the item for you. In most cases we will be able to help you out, providing you order enough items. Check out ourNTSC PAL FAQ page to find out more about how to order a product in a format that isn't listed on our site. The analog video color format used to broadcast television signals through North America, half of South America and parts of Asia. 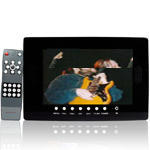 It operates on a 60Hz power grid, displays 30 picture frames per second and 525 lines of information per picture. The analog video color format used to broadcast television signals through much of Europe, Asia, Oceania, half of South America and parts of Africa. It operates on a 50Hz power grid, displays 25 picture frames per second and ties in 625 lines of information with every frame. The analog video color format used in France, parts of Africa and much of Eastern Europe (in conjunction with PAL transmissions). Device that sends out electronic signals to other devices(receivers). 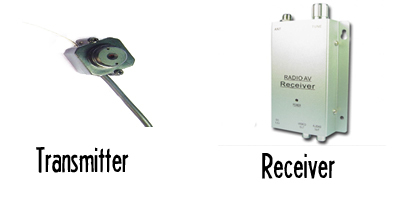 In this case a camera is an example of a transmitter. A device that receives and uses electronic signals from transmitters. In this case a TV is an example of a receiver. Hertz or cycles per second. Something that repeats a cycle once each second moves at a rate of 1 Hz. Frequency is the measurement of the number of occurrences of a repeated event per unit of time, It is measured in Hertz. Continuously variable signals or data. The potential effect of running a PAL transmitter with a NTSC receiver. The picture on the screen doesn't stay still and looks like it is constantly moving from the bottom of the screen to the top (or the top to the bottom depending on your perspective). The potential effect of grouping a PAL transmitter with a NTSC receiver. The picture will break up in horizontal lines, effectively making the picture look like it is being torn.